Hello, and welcome to my Amateur Radio website. I hope to bring a lot of useful information to any Ham Operator that visits. This site is still in progress and will go through many changes so bare with me while I keep working on it. My name is Jamey and I've lived in Raleigh, NC since 1987. 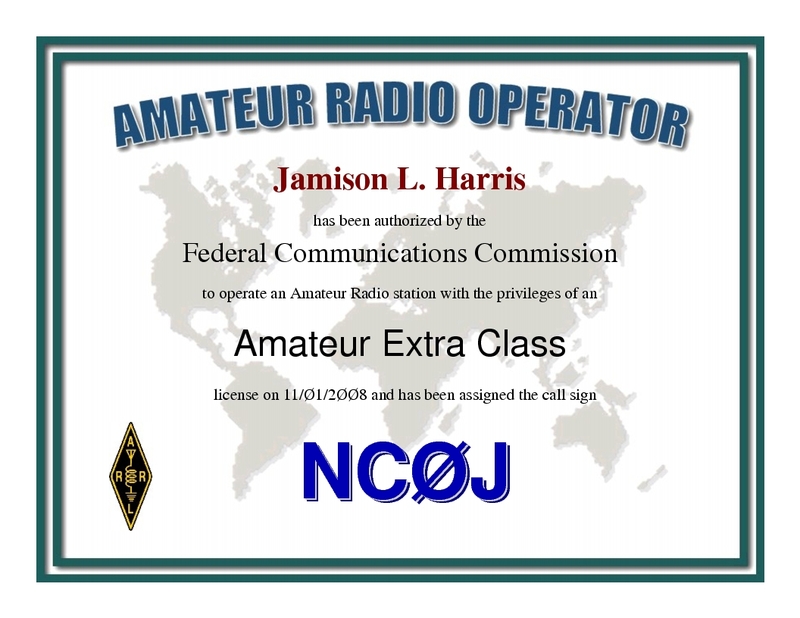 I have been a licensed Ham Operator since 2008. I am a member of The Johnston Amateur Radio Society. I usually monitor the JARS repeater at 147.270 and the SWARC repeater at 145.210. I also monitor DMR Radio via PRN and Raleigh Local. 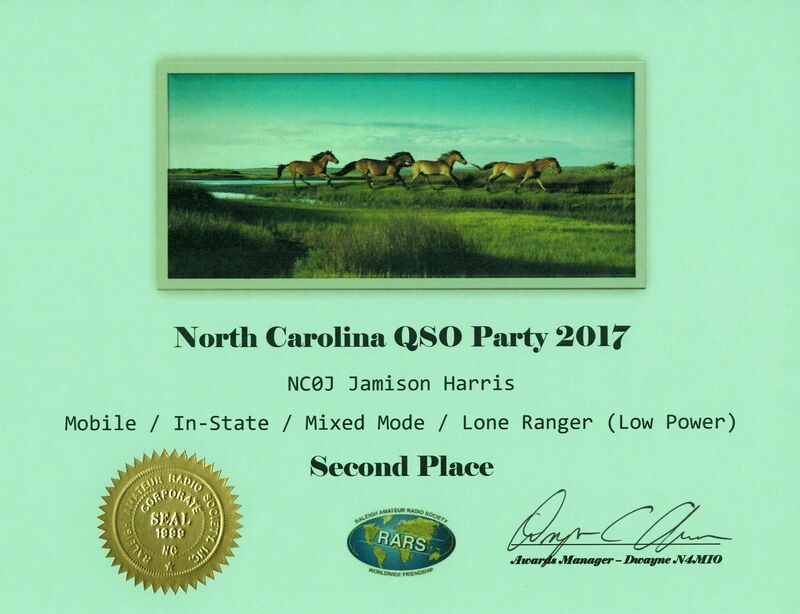 I run a Kenwood TS-480SAT in my truck with a Tarheel Model 100A HF antenna as well as a Kenwood TM-D710GA to talk VHF/UHF. In the house, I use my custom built Go-Box which contains an ICOM IC-7300 as well as a Yaesu FT-8800. I spent four years active, and four years inactive in the Marine Corps between 1994 and 2002. Afterwards, I got into computer hardware and networking, working with various companies in NC. I finally got tired of the hardware side and started learning several different programming languages and have been a Software Developer for an out of state company since 2005 working out of my home. I am married to my beautiful wife Cindy and we have three children who are now teenagers. We usually spend the warmer months camping as often as we can in our little camper. I also enjoy riding my bicycle 60 to 100 miles a week and I ride with a club out in Spring Hope, NC on the weekends. I also enjoy hunting and fishing as time permits. IDLE for 193 days, 13 hours, 57 minutes, 50 seconds.